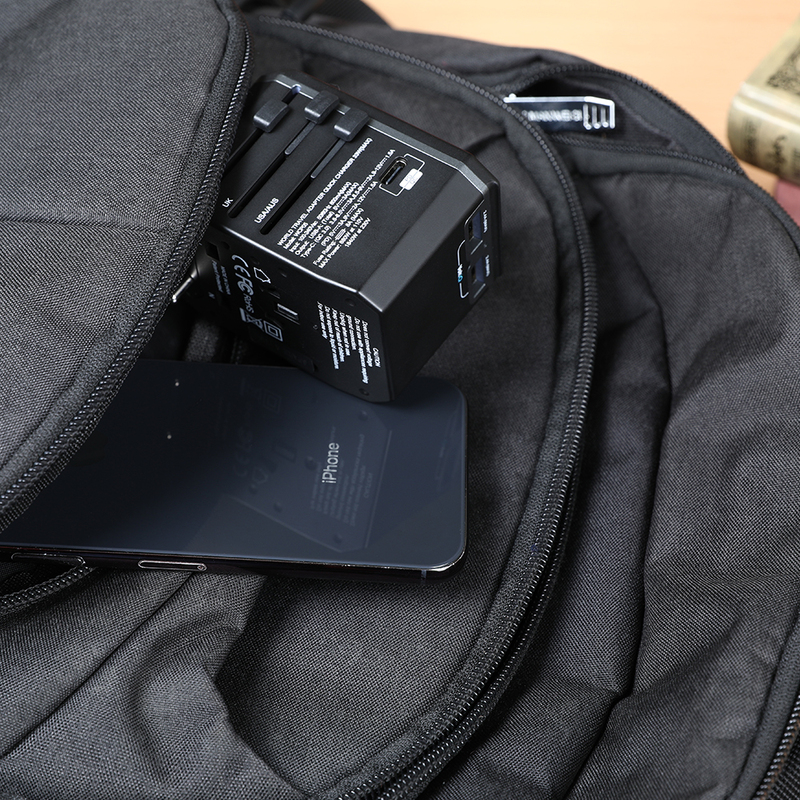 An all in one universal travel charger with USB-C PD 3.0 quick charge, which is a perfect companion for traveling. Also Huawei Fast Charging. 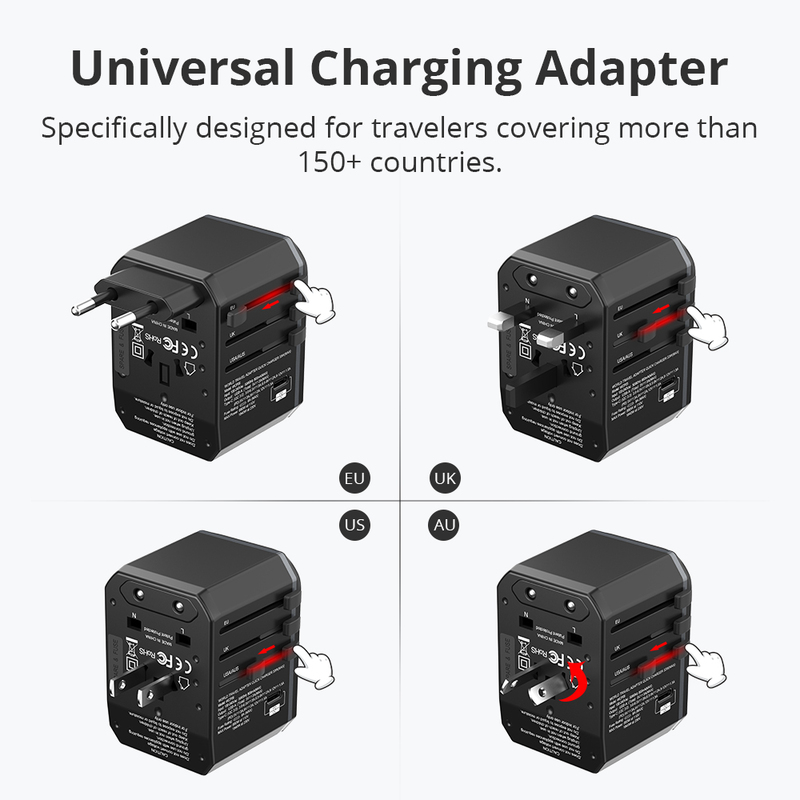 Specifically designed for travelers covering more than 150+ countries. 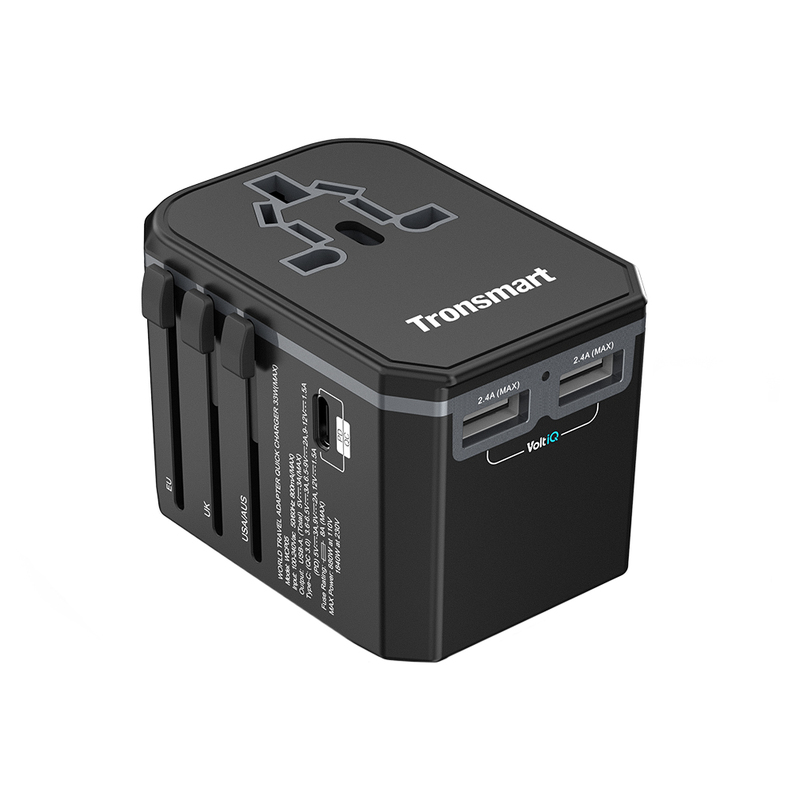 Universal Travel Charger by Tronsmart Supports fast charge for all USB devices. 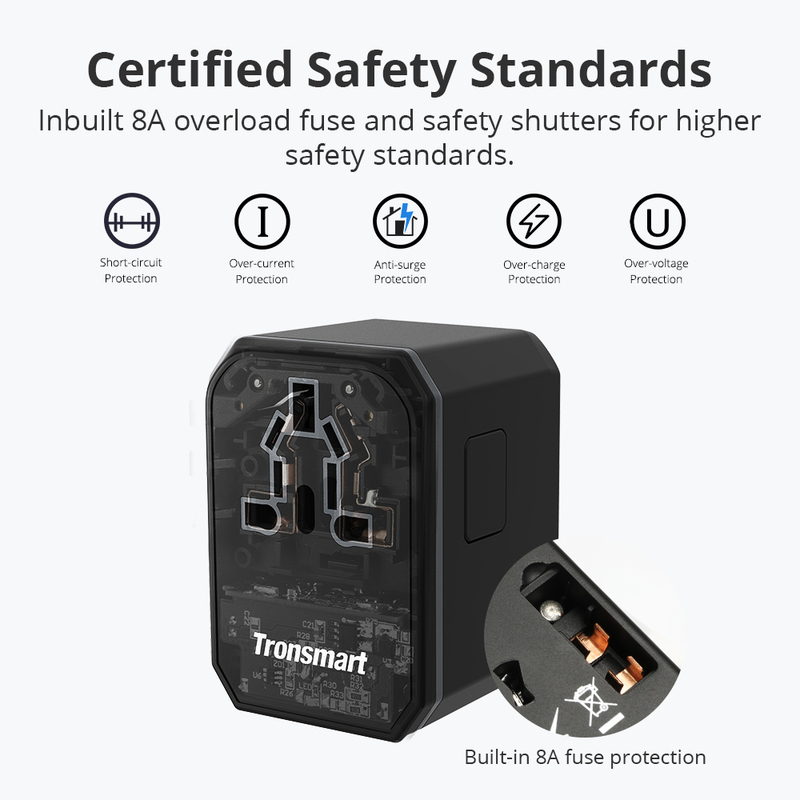 Inbuilt 8A overload fuse and safety shutters for higher safety standards. 1. 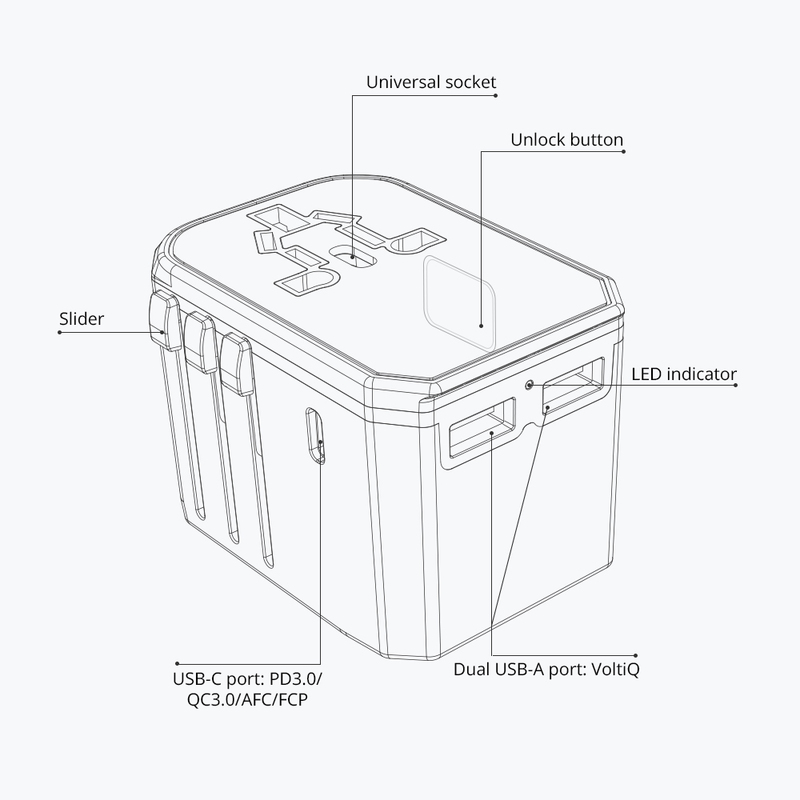 Use: Select the desired prong, push its slider until locked. 2. 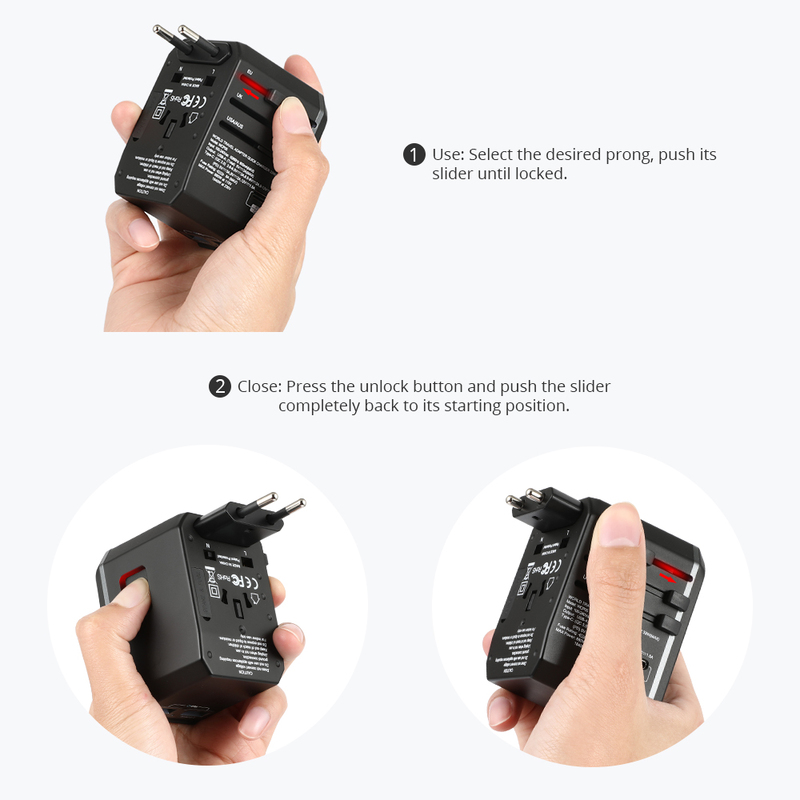 Close: Press the unlock button and push the slider completely back to its starting position. 1. AC socket does not convert voltage. 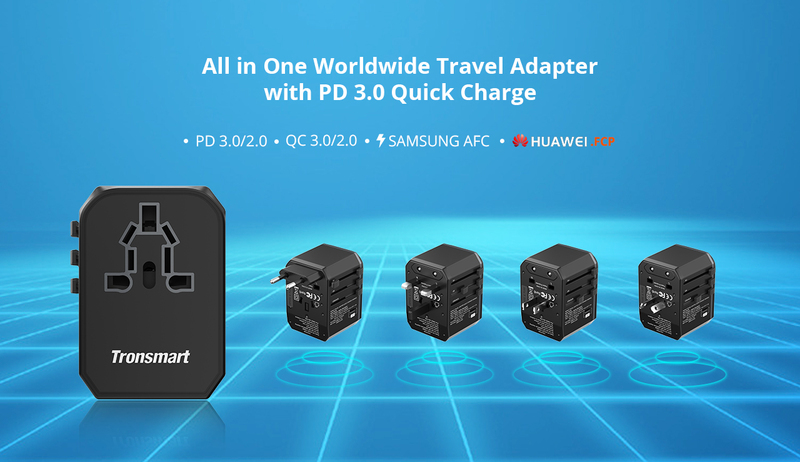 Make sure your AC powered devices as following supports worldwide 110-230V for use in overseas. 2. AC socket provides up to 880W of power at AC 110V and 1840V at AC 230V. 3. 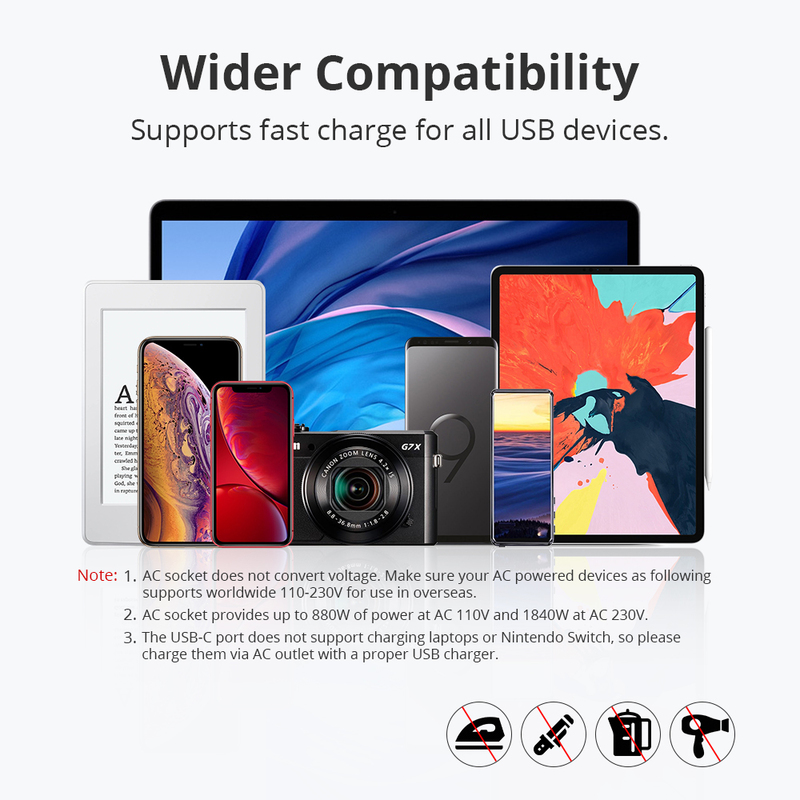 The USB-C port does not support charging laptops or Nintendo Switch, so please charge them via AC outlet with a proper USB charger. 4. 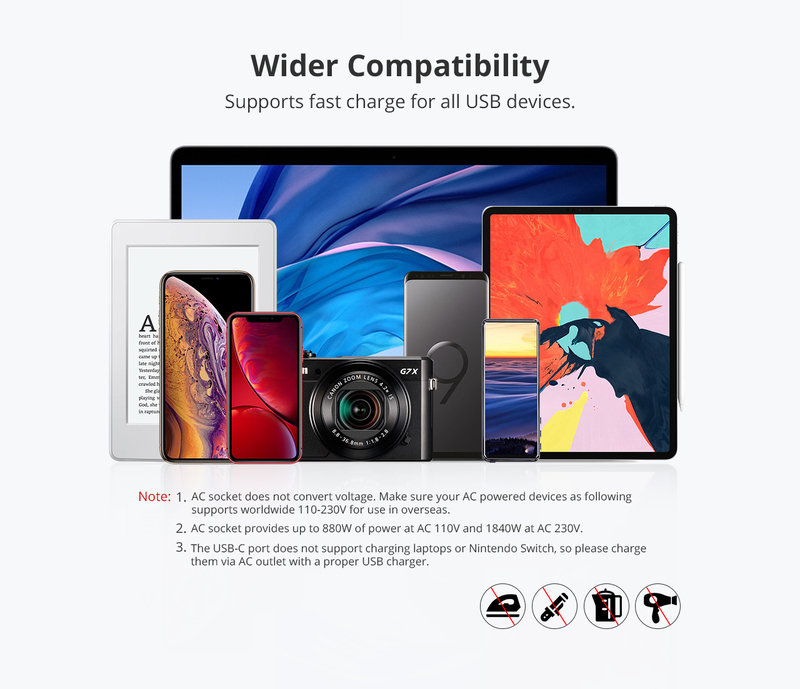 Fast charging supported for iPhone X / 8 / 8 Plus, iPhone Xs / Xs Max/ XR when used with the original Apple USB-C to Lightning cable. AC Socket AC 100 – 240V, 800mA Max. 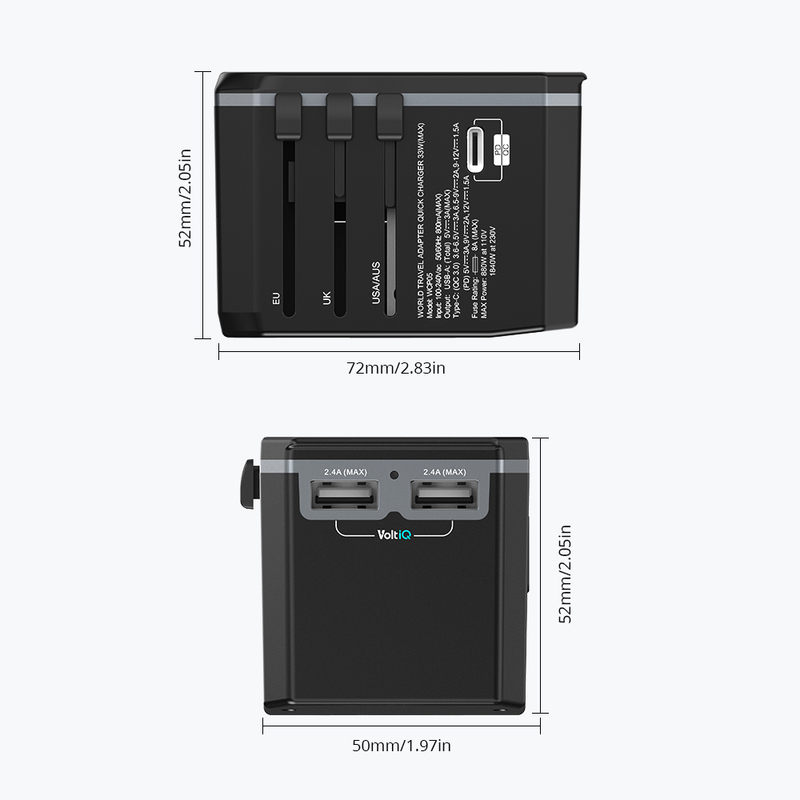 Output (USB) USB-A: Single port: DC 5V, 2.4A Max; Dual port: Total 5V/3A, 15W Max. 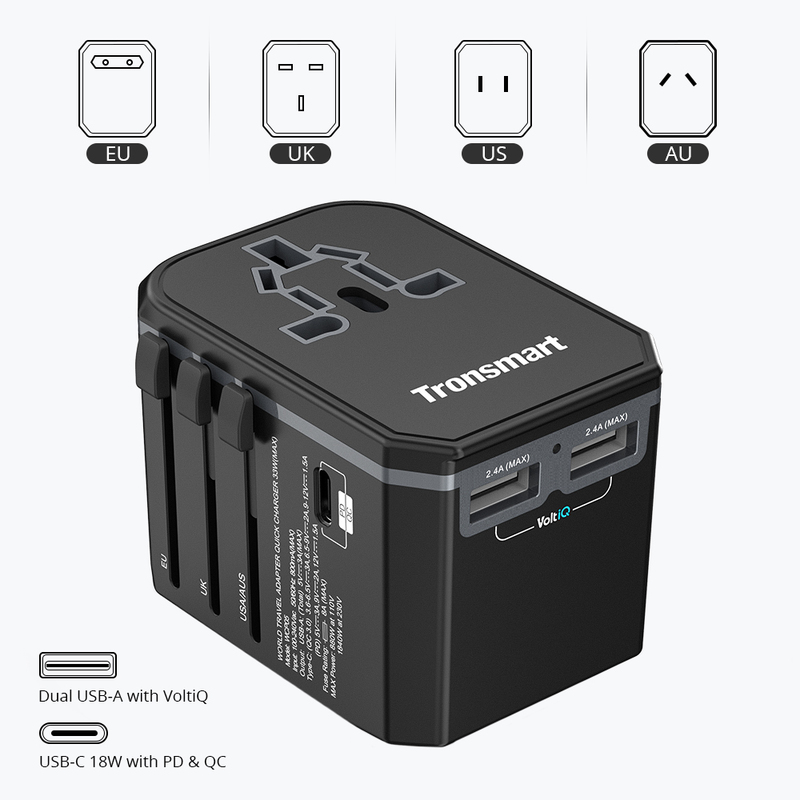 USB Type-C (PD 3.0/QC 3.0): DC 5-6V/3.0A, 6-9V/2.0A, 9-12V/1.5A, 18W Max. 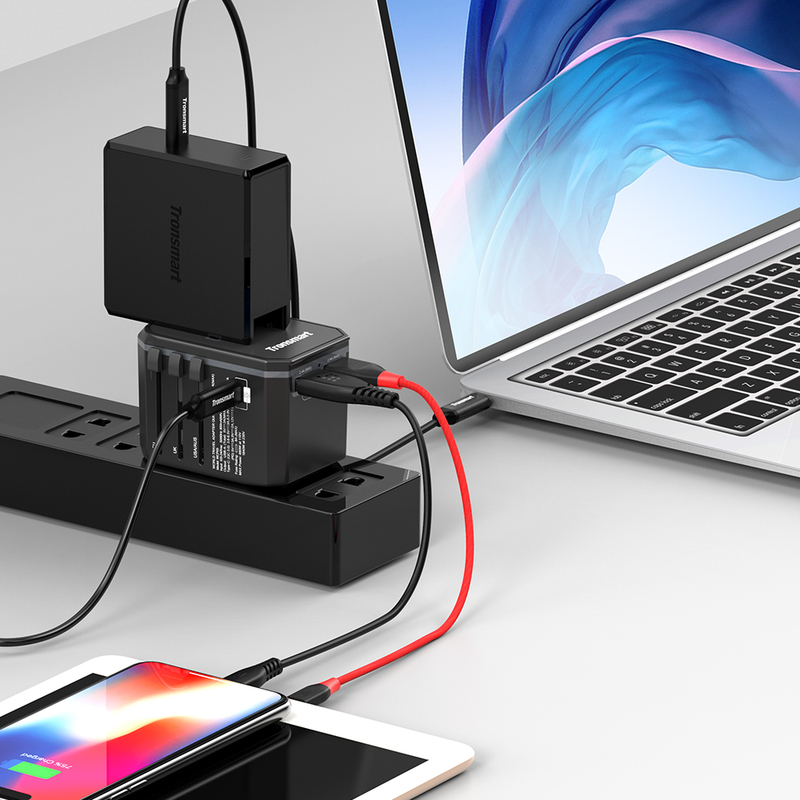 This compact universal charger and fast charger is amazing device with 3 charging ports, this is one device solution for all mobile charging needs. Highy recommended!